Jason McCullough (James Garner) is a drifter who finds himself in a small town suffering from the effects of the gold rush. Unbelievable inflation, rampant crime and a family of bandits that razes any miner they find on his own. 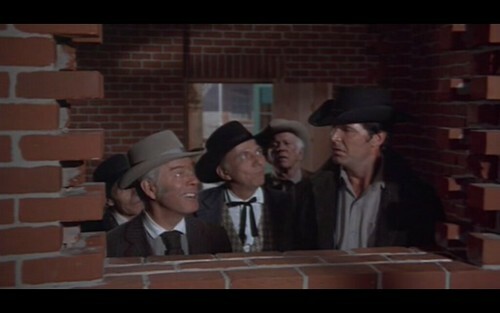 The town council (Harry Morgan and Henry Jones) are desperate to find a full-time sheriff. McCullough is broke and hungry, and figures if he actually has to do any real work, he can always quit. Upon taking the job he finds out it’s not going to be the cakewalk he thought it was going to be. The jail doesn’t have any bars. And the Mayor’s daughter Prudy (Joan Hackett), who’s supposed to be providing the sheriff’s room and board and is one of the richest prospectors in town, is a little crazy and can’t decide if she likes him or wants to kill him. And the first thing he does as sheriff is decide to take on the infamous Danby family, mostly made up of brainless degenerates (Bruce Dern), but led by the ruthless Pa Danby (an elderly Walter Brennan). I’ll give you a tip: Don’t try and get too invested in the romance storyline. It’s nice that it’s there but it’s not the best part of the movie by any means. But that’s just fine. Between Garner, Elam, Dern, Brennan, Morgan…it’s a comedy gold mine. There are so many literal laugh-out-loud moments it’s a guarantee for a fun family film night. The best scene in the whole movie is when McCullough explains to his first prisoner, Joe Danby, that the jail cells don’t have any bars. Pure comedy gold. 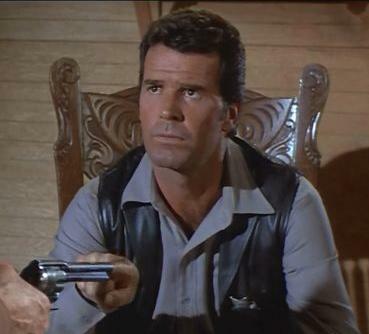 James Garner can do anything. I recommend watching this in a double-feature with “36 Hours,” an intense WWII spy drama. Harry Morgan is as sharp as ever, Jack Elam is a fantastic sidekick, and Walter Brennan is a treat, as always, even here at the end of his long career. It’s a near-perfect blend of physical comedy and witty banter, with something for everybody, and safe for the kids (only a little bit of cussing – about par for the course for westerns - and little to no mature conversation). “Support Your Local Sheriff” will be on TCM on Friday, September 28, at 7:00 PM CST. Be sure and set your DVR! Oooh thanks for letting me know about Murder on the Orient Express. I've been wanting to see that one!